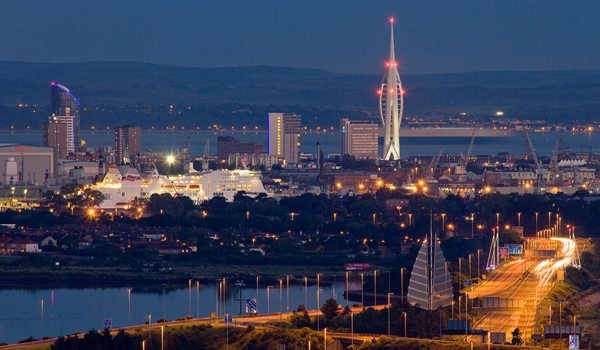 Sat on the peak of Portsdown Hill sits a dozen prestige properties with stunning views that overlook Portsmouth and its historic harbour. ‘Millionaires row’ might be sat on one of Hampshire’s most sought after locations but the exposure of the buildings to high winds and sea air offers little by way of protection from a corrosive environment. Our wall tie installers will testify as to the poor condition of the cavity tie irons serving the south and west facing walls of one of these prestige houses. We were initially asked to look at the ties by the owner of ‘Fourwinds’, a local businessman who has interests in a number of small businesses along the South Coast of the UK. The owner had noticed some minor horizontal cracking in walls and had immediately called PermaFix to investigate. Our wall tie surveyor called to the large detached building and carried out a series of inspection holes, drilled discretely in the walls, in order to establish the condition of the ties by viewing them with a rigid boroscope. The owners’ suspicions were soon confirmed as our surveyor removed an isolated brick to reveal to him a sample of the rusting ties. After compiling a detailed wall tie report and agreeing a price for the work, scaffold was erected the following week and our wall tie installers went straight to work. They spent a day fitting the new ties to secure the perimeter wall home the building. A further two days were spent isolating the rusting ties to ensure that they caused no further cracking, and then the final day to make good the holes so that the walls looked virtually untouched. ‘Fourwinds’ once again stands proudly in prime hill-top position with new rust resistant stainless steel wall ties having replaced the old corroding ones.